THE LARGE TREE-FILLED GARDEN WITH ABUNDANT BIRD LIFE IS AN OASIS OF PEACE AND TRANQUILITY FOR YOU TO COME HOME TO AT THE END OF BUSY, ADVENTUROUS SUNSHINE COAST DAYS. 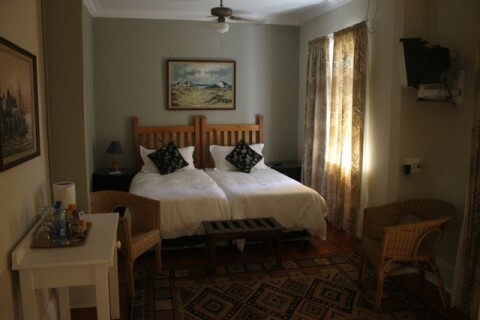 WARM EASTERN CAPE HOSPITALITY AWAITS YOU AT HERITAGE GUEST HOUSE WITH DELICIOUS COUNTRY COOKING AND COMFORTABLE ROOMS. 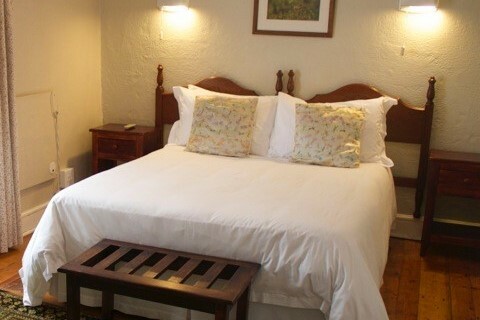 This snug, sunny en suite Double Room overlooks the trees in the back garden. 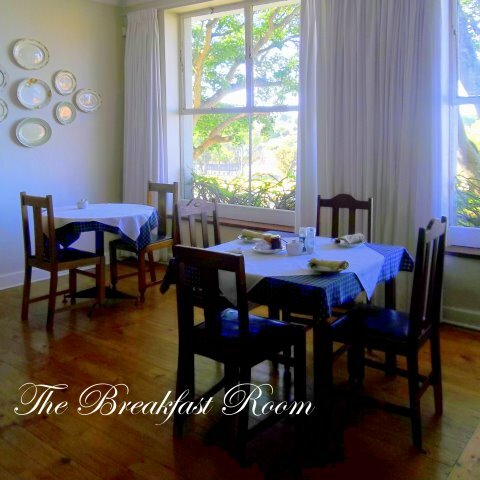 It is in the original section of the building with broad-beamed yellowwood floors and the original sash windows is still in use. Rooms 4, 5 and 6 are Single Rooms. 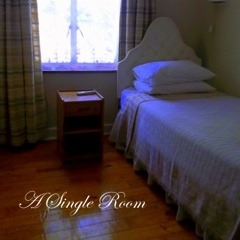 Each room has its own private bathroom across the passage. 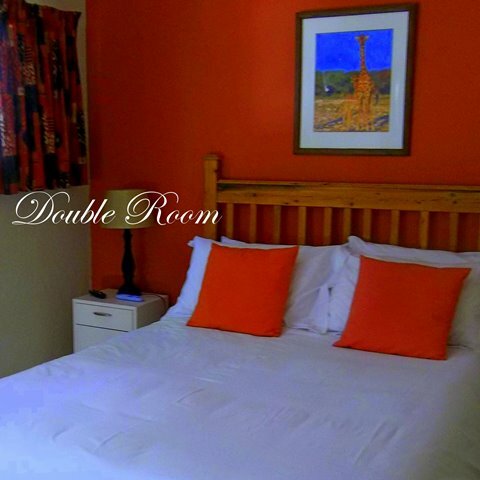 This en suite Twin Room was originally 2 rooms. It overlooks the garden and has a spacious seating area. This family flat has its own entrance and looks onto the parking area and shady garden. There are 2 bedrooms and the possibility of turning the sitting area into an extra sleeping space. 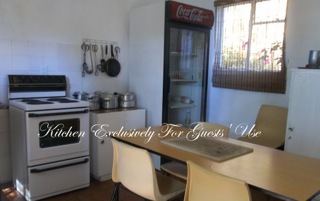 The small kitchen and scullery is ideal for preparing simple meals while they also have use of the outdoor kitchen for preparing larger meals and barbeques at the Corel Tree Braai Area. 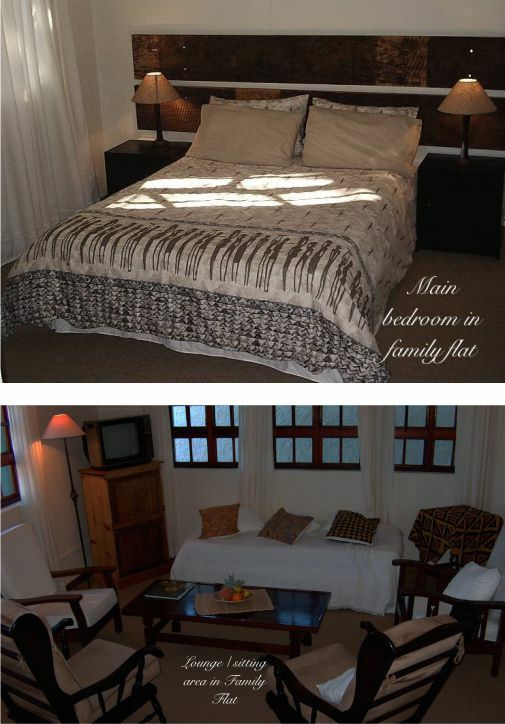 are available by special arrangement and are served in the spacious lounge and dining area. 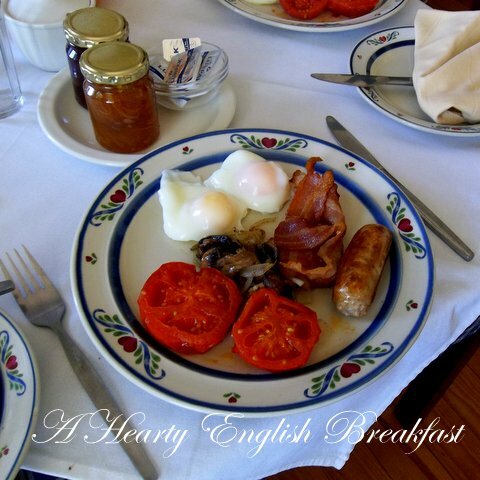 We are renown for our delicious homemade freshly prepared breakfasts. 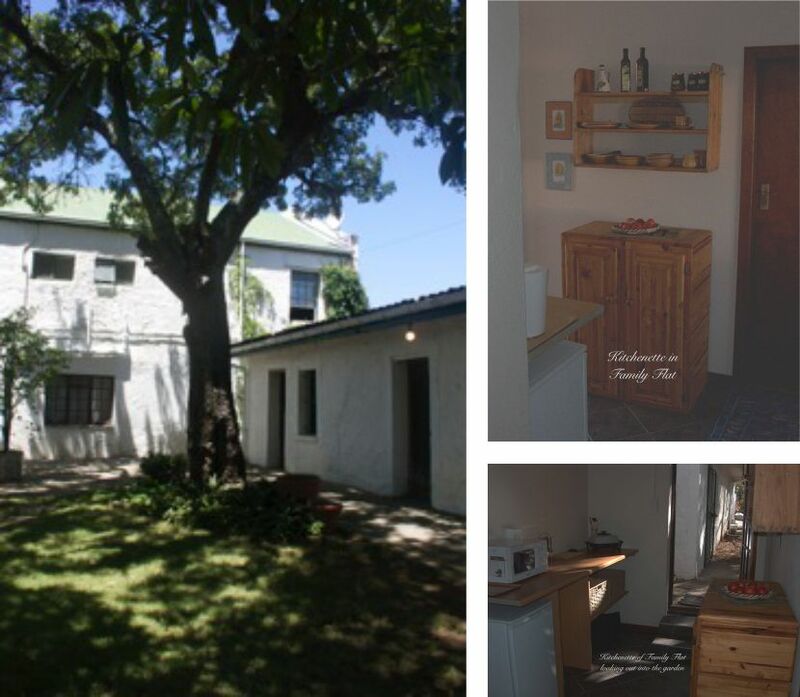 This fully equipped outside kitchen is for the exclusive use of guests who prefer to prepare their own meals or for organising their food for a braai (barbeque). 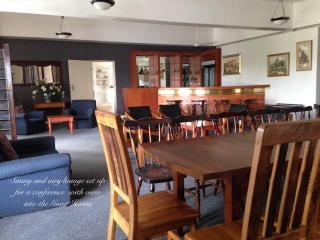 THE SPACIOUS MAIN LOUNGE AREA IS IDEAL FOR EXHIBITIONS AND SMALL CONFERENCES. IT HAS ITS OWN ENTRANCE AND A DECK OVERLOOKING THE TOWN.